Guardians Team-Up Vol. 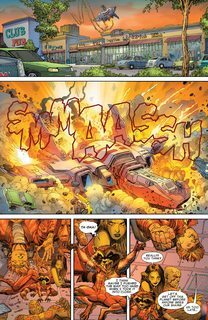 1 – Guardians Assemble (TPB) (2015) : Launching directly out of Guardians of the Galaxy comes a new story bringing the Guardians to the Marvel Universe’s grandest stage for an out-of-this-world adventures with some of the biggest hitters Marvel has to off er. 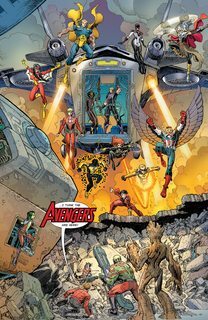 See the Guardians assemble side-by-side with the mighty Avengers. Next, Ronan the Accuser joins the battle after the Black Vortex strikes the Kree Empire. 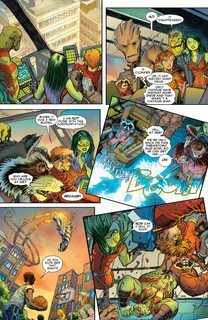 Then see what happens when the intergalactic bounty hunters travel to New York and run into She-Hulk!